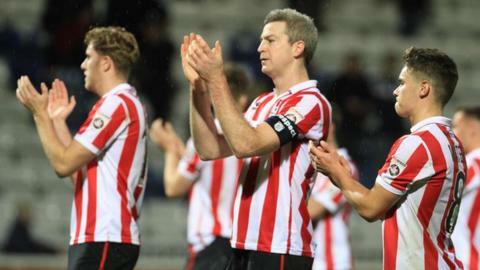 Cheltenham Town captain Aaron Downes says his side face their biggest game of the season against neighbours Forest Green Rovers on Saturday. The National League leaders have won their last three league games and scored 10 goals in the process. But second-placed Rovers are just a single point behind the Robins. "It is a little bit more than just another game, it is a local derby and to add to that, it is first against second," said 30-year-old Downes. The last time the two sides met, at Forest Green on 22 September, the game ended in a 2-2 draw. "For the community and the county, it is more than just another game," Downes added. "Last time we met the two sides were the other way around, so this time it will be them swinging for the champions as the manager (Gary Johnson) says."